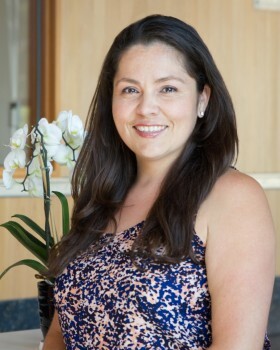 Rocío Sanchez is Manager of Graduate Student Affairs with the Dept of Plant & Microbial Bio at UC Berkeley. In this role she advises doctoral students through academic and research milestones. As an adviser, she both creates and connects students to services and resources that support personal, academic, and professional development. She is active in efforts to diversify STEM fields through outreach, recruitment, and retention programs for undergraduate and graduate students at CAL. These include SACNAS (Society for Advancement of Chicanos/Hispanics and Native Americans in Science) and ABRCMS (Annual Biomedical Research Conference for Minority Students), and Amgen Scholars programs. She serves on graduate admission committees and promotes diversity through evidence-based approaches and meaningful conversations with faculty, students, and administrators. Rocio connects students to science through mentorships and student support programs that are committed to educate and train a diverse generation of scientists to be the future leaders, researchers, educators and professionals.